I wrote this review a few years ago, but the topic of Immigration is very much in the news. This book is very thought provoking. I recommend it. Christians at the Border calls the reader to think biblically about Immigration. Many Christians base what they believe on immigration more on their politics than on the Scripture. “We must determine whether the place we choose to stand on the national debate will be based on the word of God….or whether we will defend our opinion on other grounds.” (p. 23) Carroll calls upon both the Christian citizen and the Christian who is undocumented to conform their lives to the Word. My answer is “Yes!” We have begun a Latino church planning movement in Wisconsin. Many have been won to Christ. We Anglos have learned about faith from our Latino brothers and sisters. 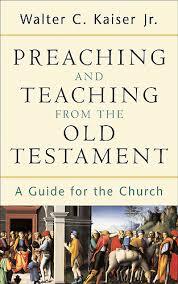 Carroll outlines passages and themes in the Old and New Testament that are relevant to the question. He does not try to proof text or fabricate a simplistic answer. Indeed the 140 pages are greatly enriched by thoughtful footnotes and resources; further study is available to you the reader. He discusses: the Image of God; The experience of OT people as refugees and immigrants; hospitality; the Law and the sojourner (which calls for fair treatment). In the New Testament he notices Jesus life as an alien and his treatment of outsiders and Samaritans in particular. His discussion of Romans 13 is eye opening. I recommend this book as a good entry point on the issue. You will have to read and reflect to glean what is here. The adventurous pastor may even find a sermon series. Author: M. Daniel. Carroll (Rodas) is Distinguished Professor of Old Testament at Denver Seminary and adjunct professor at El Seminario Teológico Centroamericano in Guatemala City, Guatemala. He received his PhD from the University of Sheffield. He describes himself as being both bilingual and bicultural. He is the son of a Guatemalan mother and an American father, growing up in Houston. His mother made a point of raising her children bilingually and bi-culturally, by involving them intentionally in Latin American culture. In addition to his ongoing work in Guatemala, he founded a Spanish language training program at Denver Seminary called IDEAL. Defining Terms: He discusses the terms “Hispanic” (Hispano-), Latino(a), immigrant, refugee, undocumented immigrants, illegal aliens. He uses “Hispanic” because it is the more familiar term. He prefers “undocumented immigrants” as it is less prejudicial. Title: “Christians at the Border” has a double meaning. He will point out the number of Christians, or persons with Christian heritage among Hispanic immigrants. He is also suggesting that Anglo Christians in the US are at a border: Will we stand with the Word of God or will we defend our opinions on other cultural grounds? Chapter 1 – Hispanic Immigration. History: The majority of this chapter is a brief history of immigration in the United States. He points out that immigration is always part of a global story of forces that push and pull people from one country to another. The US has had a history of restrictions on immigration: The Chinese immigration of the mid 19th C was feared and limited by the Chinese Exclusion Act of 1882. Chinese could not be citizens until 1943 when that act was repealed. Irish and Southern European immigrants met prejudice – often because they were Roman Catholic. This lead to the Quota Act (1921) and the Johnson-Reed Act (1924). Africans were brought to America as slaves and were left largely disenfranchised until the Emancipation Proclamation (1863) and the passage of the 13th Amendment (1865), the 14th Amendment (1868). Hispanic Immigration did not begin until 1848. At that time, large parts of the SW United States were ceded to the US by Mexico. This means that there has been a large Hispanic presence in the US from that date. When Chinese workers were restricted in the 19th C it resulted in more Mexican workers coming across the border. Labor shortages in WWI increased this number. Political conflicts in Mexico were a factor. The US Border Patrol was begun in 1924. With the Great Depression the pull of immigration was lessened and resistance was stronger. The Bracero agreement in 1942 welcomed guest workers during WWII. This was scaled back during McCarthy era of 1954. The Immigration and Nationality Act of 1952 preserved quotas – at a rate much lower than the reality on the ground. In a986 The Immigration and Reform and Control act was passed and remains in effect – it granted 3 million “amnesty” if they could prove residency since 1982. Since that time the number of immigrants has increased from all over Latin America. Recent attempts at “Comprehensive Immigration Reform” have not passed Congress. National Identity: Carroll segues here into a discussion of “Americanness”. Hispanic population has more than doubled since 1990, to an estimated 35.3 million. Some, such as Samuel Huntington (The Clash of Civilizations) and Congressman Tom Tancredo, as well as Pat Buchanan raise the fear that the cultural distinctives of the US might be under threat – among these are: individualism, private property, a market economy and a legal and cultural heritage from Western Europe. Economic Realities: There is an argument that all these immigrants are a net drag on our economy because of the various social service costs involved. Carroll cites Congressman Tancredo’s book (In Mortal Danger) as an example. Carroll then cites alternative research to suggest another way to view this issue. When the Hispanic contributions to our economy, the need for Social Security for young workers to pay into it, and the need for service sector workers are added to the conversation it is not nearly so negative. The story or Remittances, or monies sent from Hispanic workers to the home country or village is mixed. Carroll wants us to realize that all of the Americas are affected by this and “simplistic solutions do not work.” He goes on to discuss NAFTA and its effects. Of Immigrants, Refugees, and Exiles: Guidance from the Old Testament, Part 1. This chapter is a thematic exploration of Old Testament texts that might shed insight into a Christian framework of the issue. The Image of God, Genesis 1: That is to say, we need to remember that it is people, created in the image of God, who are in view. This means immigrants have value as persons. Human rights are a logical extension of this idea. He cites Exodus 34:6,7; Joel 2:13; 4:2; Psalm 145:8-9. This message is also for the immigrant believer – emphasizing worth as well as responsibility. Experience of the People of God: This line of thought is more suggestive than declarative. One asks “how did these people find themselves where they lived?” Abram and his family migrated repeatedly, only owned a gravesite, and was called a sojourner. Isaac and Jacob moved based on famines. Ruth transferred her life and faith from Moab to Israel and Israel’s god. The book of Ruth has to be read against the backdrop of O. T. Law (Dt. 25:5-10; Ex 6:7; Lev 26:12) Joseph was forced into exile, where he accommodates to Egyptian life but maintains faith in the LORD, and is seen as part of a larger plan of God’s. Daniel was also in exile and dealt with cultural accommodation and faithfulness. Moses was an escapee from Egypt, David had to run from Solomon. Israel lives as aliens in Egypt. They were Deportees who went to Babylon after 586 BC. Some were Escapees who returned under Ezra and Nehemiah. Ezekiel lived among the exiles and Jeremiah wrote to them on how to live there (Jer 29). The story of Esther takes place in Persia. All of these stores show the various dynamics of immigration, cultural accommodation, and developing boundaries for culture and for faith. Carroll suggests that they show that immigration is a part of biblical history and ours, they add a human face to the issue, and such movements seem to add “creative space” to the lives of those who have been disrupted from familiar patterns. This chapter differs from the previous in that it discusses particular O. T. legal texts. Carroll emphasizes that the purpose of the Law was not for the people to earn salvation, but to learn how to live as the redeemed people of God. (Ex 19,20). Genesis12 indicates that Abraham’s seed were to be a blessing to the nations. Deuteronomy 4:5-8 indicates the law was a blessing and a witness. Four terms are used for outsiders: (ger, tosab, nokri and zar). The first receives the most attention. Numerous laws regulate the relationship of Israel and it’s resident aliens: as workers (Dt 24:14, I Chron 22:2, II chron 2:17-18); gleaning law (Lev 19:10, 23:22; Dt 24:19-22, Ruth 2), tithe for poor (Dt 14:28-29, 26:12-13), fair wages (Dt 24:15), Sabbath rest (Ex 20:10; 23:12; Dt 5:14), fair legal treatment (Dt. 1:16-17; 24:17-18; 27:19). The Prophets defended them against abuse (Jer 22:3; Exek 22:7, mal 3:5, cf Ps 94:6). The reasons behind these laws is that they had been aliens themselves (Lev 19:18, 24). God himself defends the alien (Dt 10:17-19, Ps 146:6-9, Dt 24:14-15). Welcoming the Stranger; Guidance from the New Testament. In this chapter Carroll looks at themes and particular texts. There are no direct teachings on immigration in the teaching of Jesus. However, “Jesus actions and attitudes transcend cultural identity; they also help define what it means to be his follower.” (p. 125). Christians as Sojourners. 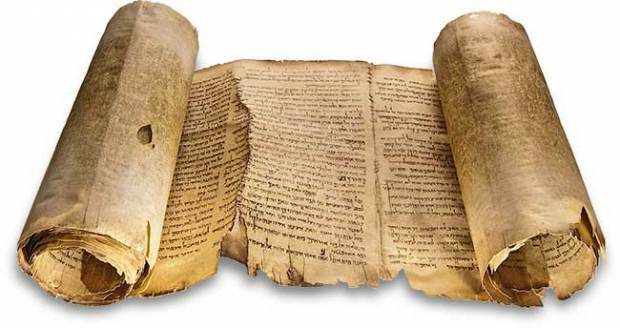 Citing I Peter 1:1 and 2:11, and linking the passage to Genesis 23:4 he says, “This Old Testament allusion connects the experience of these Christians back to the ancient patriarch. Their sojourning is not unique. The history of the people of God is the pilgrimage of faith of whose who are alienated from the world.” (p. 127) Carroll does not suggest that the majority simply accept the immigrant, rather that both recognize their status as sojourners, and accept rejection if necessary. What about Romans 13? In this section Carroll suggests that we need to back off and take a wider view of this passage and the current context of immigration. It is not enough, he says, to simply say, “obey the law.” “It is my conviction that there are a series of prior considerations that must be dealt with before introducing issues of legality. One must treat legal matters eventually.” (p. 131) Such factors as the call to “not be conformed to the world” in Romans 12, and the stated need by our government that the laws need to be somehow changed, suggest this wider view. “Discussion on legality cannot be limited just to questions about complying with the present laws. If the laws are problematic theologically, humanely and pragmatically…the call to submit to the authorities in Romans 13 can be processed in fresh and constructive ways.” (p. 134). I believe that Carroll has accomplished the purpose of widening our view of the historical context of immigration and the larger biblical context. He goes beyond proof-texting, and lays a great deal of emphasis on biblical themes. This makes sense in that there is very little specific to borders and immigration law in the Bible. Nation states with guarded borders are a modern reality, not one from the Ancient Near East. Carroll, bring himself bi-lingual and bi-cultural is clearly pulled by his background when he comes to Romans 13. I appreciate fully his desire to broaden our reading here. However this will be the sticking point in the discussion. He is persuasive to those (like me) who think as he does, but to the more strictly textual minded, his answer will seem vague. Christians at the Borders is an excellent guide into thinking biblically about Immigration. His bibliography and extensive footnotes possibly the best part of the book. 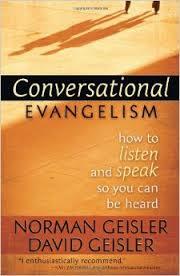 Norman and David Geisler suggest the use of questions. They can clarify where there are areas of confusion. Practice here with asking a question to some famous people who have had things to say about faith. Below are quotes and a space following the Q for you to think of a good question to ask. Common Grace refers to God’s preservation and self-revelation within the created order, which is imperfectly but universally available. It is revelation by the creation as well as an invitation to study, understand and enjoy the creation. It is “common” because it is not limited to Christian believers. 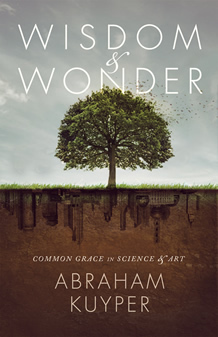 I’d like to give a brief account of Kuyper’s perspective on Science and Art – though he discusses a number of other topics. Kuyper states that art and science were given their start and patronized by the church and the state. One sees this in any survey of Art History: the earlier the art, the more likely it was part of worship. Art and Science, though birthed by church and state, possess legitimate and independent domains. Science had its origin in the church as it grew out of the universities, which had their birth in the church. By way of evaluation, I have several comments. One has to read the Kuyper with grace. He made assumptions about non-European cultures and non-Christian religions that could offend our sensibilities. We are all marked by the prejudices and judgments of our town times. Try not get impaled on these thorns. The independence of Art and Science as domains intended by the Creator and built into the world is a scriptural idea. Kuyper cites passages such as Genesis 1 where God created by the Word. Wisdom Literature sees wisdom imbedded in all things (e.g. Proverbs 3:19-20; Proverbs 8). The wise even seemed to gather wisdom from other places (see Proverbs 22:27ff and the 30 Sayings of the Wise). One does not need to do Christian science or Christian art to be a faithful Christian in those domains. One needs to do good science or good art. Yet, science and art are powerful tools that come without a clear moral compass or centering integration. A believer ought to do art or science in a way that is truly integrated by means of Special Grace. What I’d like to do is gather a few bible students, some artists and scientists from any field and read and discuss this work together. 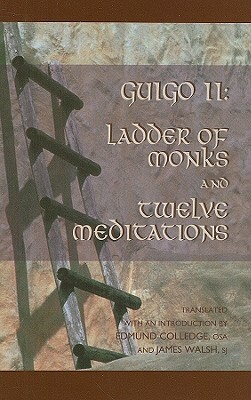 In pursing my reading on “Spiritual Reading” or “Lectio Divina“, the name Guigo II came up repeatedly. He is identified as the first to have discussed spiritual reading as a four stage process of reading, meditating, praying and contemplation. Was this an anti-intellectual project or did the reading include study? What sort of prayer are we talking about? “Ladder” is a short piece, about 20 pages, written as a letter. Guigo II became the ninth prior of the mother house of the Grande Chartreuse in 1173 or 1174. This house is in the Benedictine tradition, which itself stretches back to the 6th Century. He speaks of the four steps as a latter reaching from earth to heaven. On the first read through I have some observations. This is a means to a mystical experience that is not automatic, but the desired result of the exercises The person who follows this seeks to have “contemplation” in the sense of a mystical vision of Christ. Thus meditation differs from contemplation in that the first is a mental reflection on the text, while the second is a spiritual experience. As far as anti-intellectualism, it seems first of all that in the 12th Century, there was not a lot of access to books, yet there was an emphasis on reading. It may be better to say this is something above rational inquiry, not necessarily to replace it. However, consider this quote, “Otherwise it is of no use for the reader to search in earthly books; there is little sweetness in the study of the literal sense, unless there be a commentary which is found in the heart, to reveal the inward sense.” [p. 76] Like many in the middle ages, the real meaning of Scripture is sought beyond the grammar of the written page. So the question for me is how is this useful to me as a protestant? I have noticed that most protestant users of Lectio Divina live in the first three steps, and/or define the fourth step in a different way. that is to say, we see value in reading, meditation and prayer. The end seems to be different, a more godly life as opposed to a mystic experience. Even so there are some interesting passages, particularly where he talks about how the stages are both sequential and inter-related. This quote defines the stages as Guigo uses them. My next project is to read the Rule of St. Benedict, written in 520 a.d. This is seen as the source of this particular stream of thought.